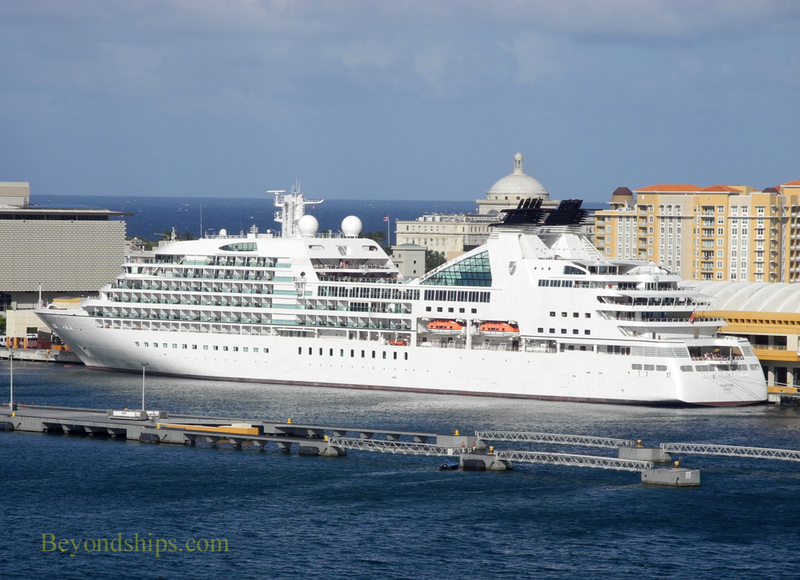 Seabourn Quest is a small luxury cruise ship. 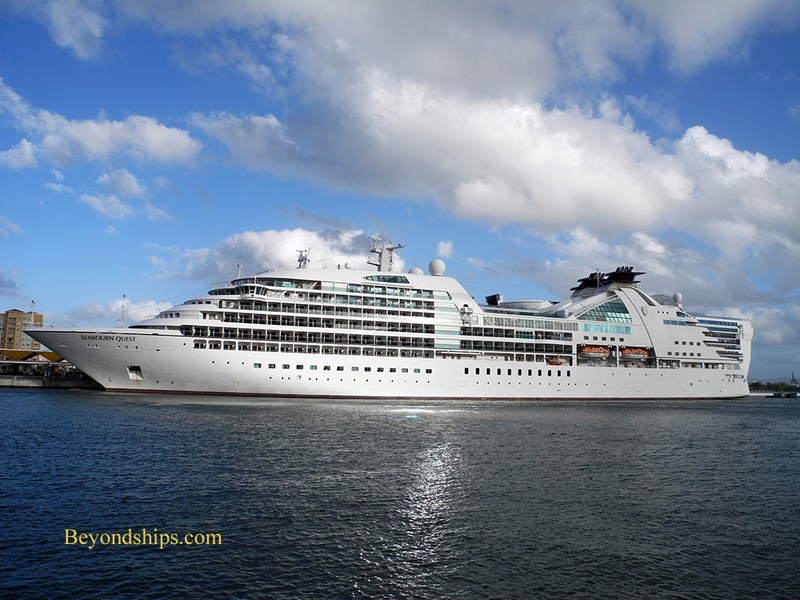 She is a sister to Seabourn Odyssey and Seabourn Sojourn. The last ship in the class, she entered service in 2011. 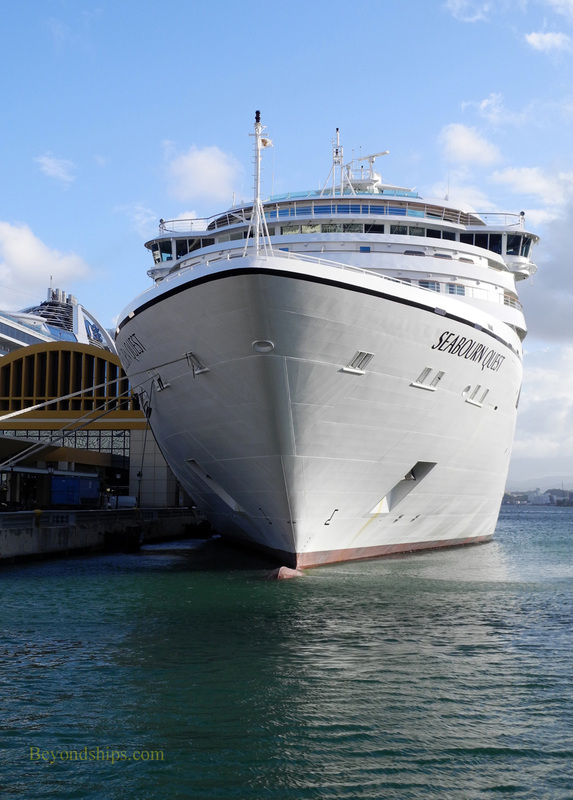 Approximately two years after entering service, Seabourn Quest returned to her builder in Genoa, Italy for a significant refit. While some technical enhancements were made, the main thrust of this refit was to add four additional zodiac small craft and the facilities to launch these boats. 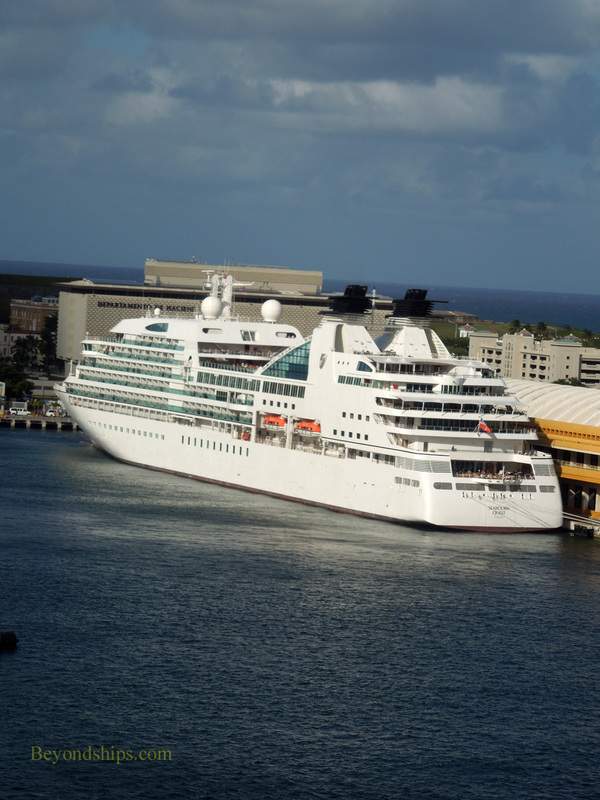 This was done so as to enhance Seabourn Quest's ability to do exploration cruising. 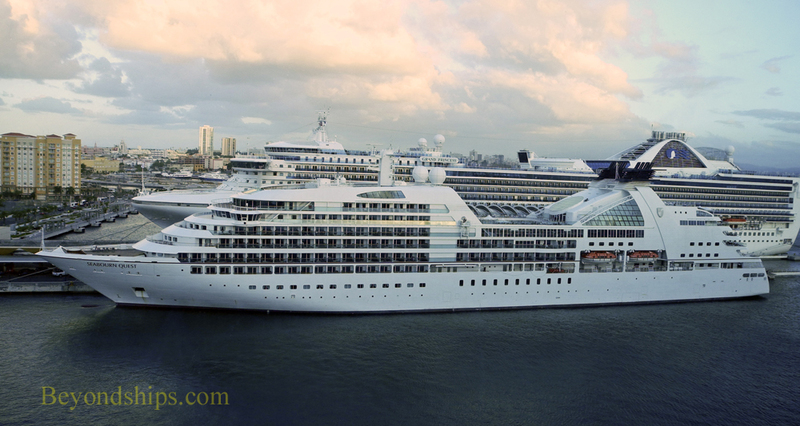 The décor of Seabourn Quest is contemporary but up-scale. It is more like a modern boutique hotel than say the London Ritz. The ship is designed so that most of the accommodations are forward and most of the public spaces are in the back half of the ship. Among other things, Seabourn Quest has one of the largest spa areas in the luxury cruise segment Sebourn Square is a multi-function lounge that includes the library, internet facilities, a specialty coffee shop and the guest relations/shore excursions desks.. She also has the usual line-up of facilities one would expect to find on a modern cruise ship - - pools, jacuzzis, some sports facilities, a casino, bars and lounges. One unique feature of this class of ship is a built in marina in the stern. This can be deployed, weather permitting, to allow the guests to sail boats and swim from the ship. 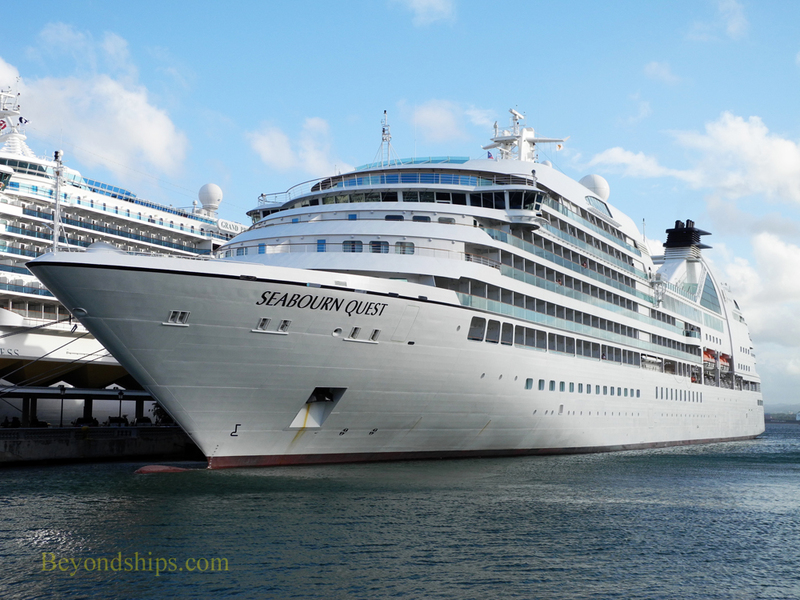 Seabourn Quest has several dining venues. The main dining room, called “The Restaurant” does breakfast, lunch and dinner on an open seating basis. Guests can also order from the dining room menu and have the meal served in their suites. The Colonade does breakfast and lunch buffet style but dinner is served and features al fresco dining. Restaurant 2 is an intimate venue like a specialty restaurant serving from a small plate tasting menu. There is also a poolside grill. There is live music in some of the lounges in the evening. In addition, the ship's production cast performs in the Grand Salon, a cabaret-style venue with a dance floor. 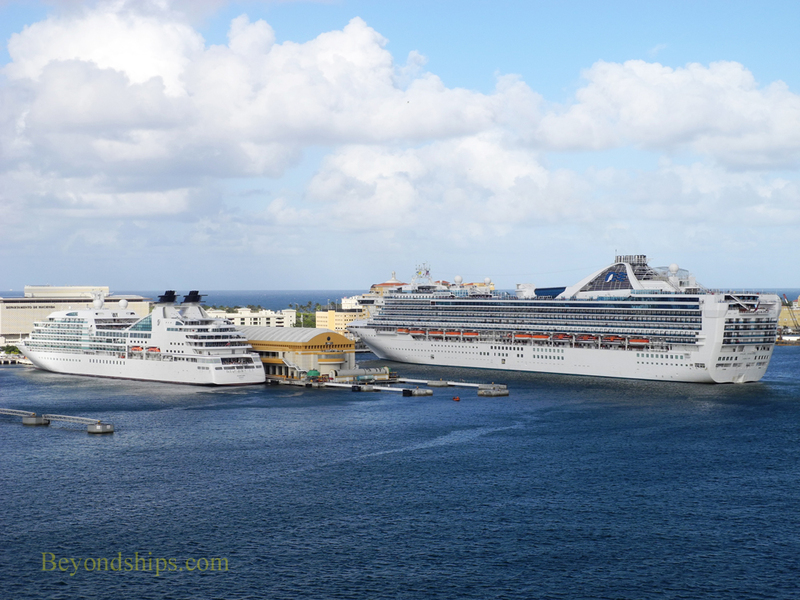 Most things, including gratuities are included in the cruise fare. This includes drinks and wine with meals although premium brands and vintages are not included. Shore excursions, spa treatments, the shops and, of course, the casino are also not included. 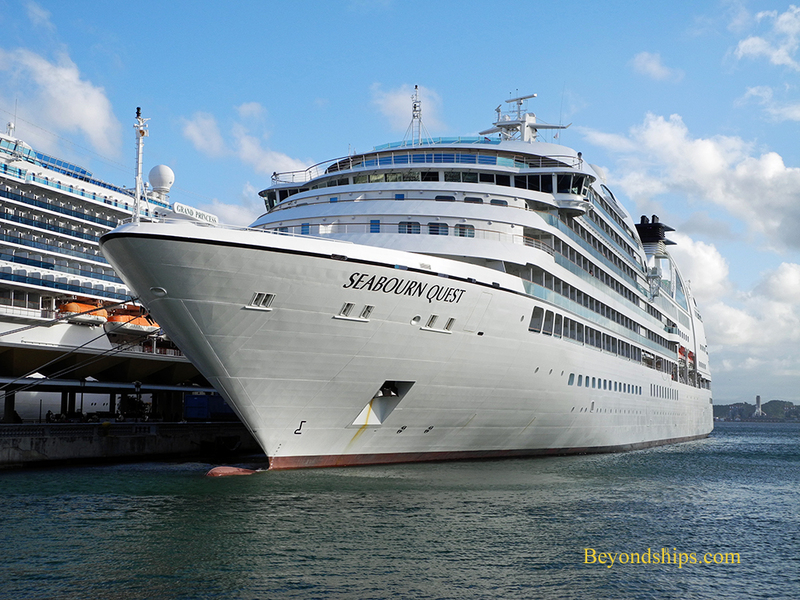 Seabourn prides itself on service, which it describes as “intuitive.” Seabourn Quest also has a high passenger space ratio. 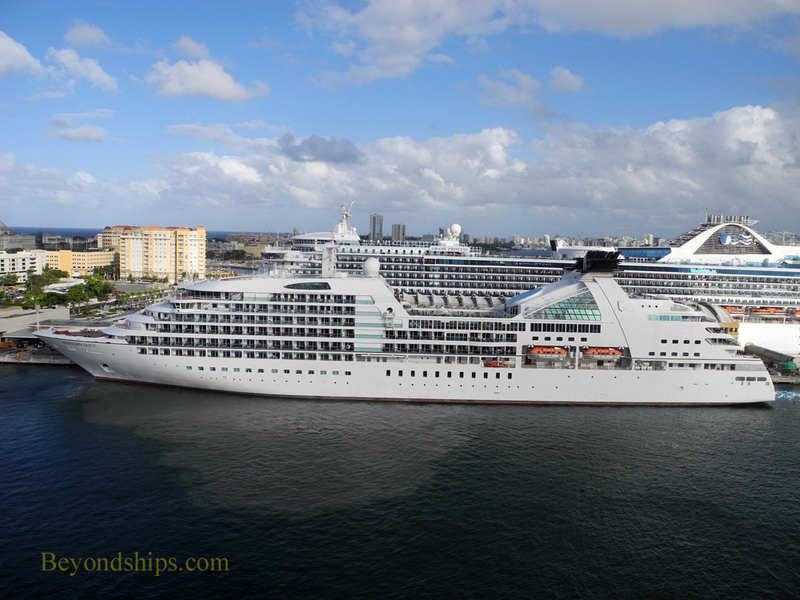 Above: A contrast in size - - Seabourn Quest with Grand Princess.